If your knees or hip are painful, restricting movement, or limiting your overall mobility, you might be considering joint replacement. More than a million Americans have a knee or hip joint replaced each year. Why? Simply put, for better quality of life. The obvious benefit from joint replacement surgery is reduced pain. There are other long-term benefits that can influence your decision to have surgery as well. Our orthopedic team is here to highlight some of these benefits and help you make an informed choice about your joint pain. During a hip or knee replacement, a surgeon removes the painful damaged surfaces of the joint and replaces them with plastic or metal implants. The diseased, damaged bone is what causes pain and once it is removed, the patient experiences almost immediate relief. Often the joint function improves as well - though this takes more time and physical therapy. 1. Everyday life is easier. While the degree of improved movement varies from person to person, almost everyone who has a joint replaced experiences improved mobility. You won't be able to move that knee like a 20-year-old, but you will be able to walk easier and go longer distances. Grocery shopping, attending your grandchildren's sporting events, driving your car, and managing common household chores are often much easier after joint replacement surgery. 2. You can be active again . 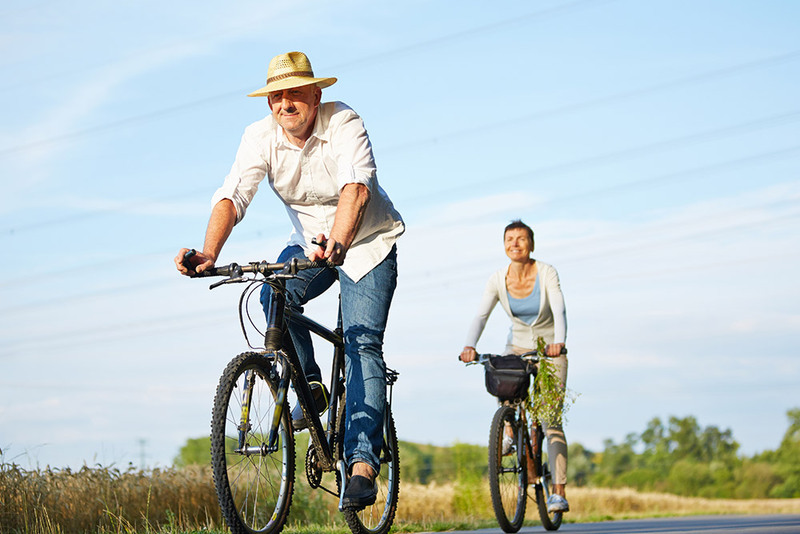 Reasonable recreational activities such as walking, swimming, golf, light hiking, biking, ballroom dancing, and other low-impact sports become achievable and enjoyable again. 3. You'll improve your overall health. Osteoarthritis is the most common reason for joint replacement . Over time, osteoarthritis drastically limits a person's activity level. For these people, the impact in joint replacement surgery is very positive. In fact, a 2013 study form the American Academy of Orthopedic Surgeons shows that people suffering from osteoarthritis who had a hip or knee replaced were 40% less likely to have a heart attack or stroke that those who didn't have surgery. You've always heard that the more you move, the better your cardiovascular health. If you can move more freely and more often, you'll reduce your risk for many cardiovascular diseases, in addition to experiencing reduced joint pain. If you're considering joint replacement surgery, consult with your doctor about the procedure,its risks, benefits, and the recovery process. In some cases your doctor can recommend lifestyle changes that improve your quality of life. However, when those measures stop working it may be time to join the thousands of people each year who replace their hip or knee and benefit for years to come.